The Lowcountry of the American South is a geographical region along the South Carolina coast. It is ‘low’ by virtue of being at or below sea level. Lowcountry also refers to the distinctive cooking style of the area and reflects the diverse cultures that have shaped its history. Many different peoples of disparate backgrounds contributed to the making of Lowcountry cuisine. In it there’s a touch of the English, the Spanish, of French, African and Caribbean elements. They have blended into a remarkable and seamless whole. A glance at the diplomatickitchen’s Lowcountry Dinner Menu reveals something of the character of Lowcountry cooking. Seafood often features prominently (even at breakfast). It knows no fear of spice, chili, or rich ingredients. And, perhaps because a fondness for entertaining at home runs deep in South Carolinians, their food speaks at one and the same time of home cooking and a special occasion. 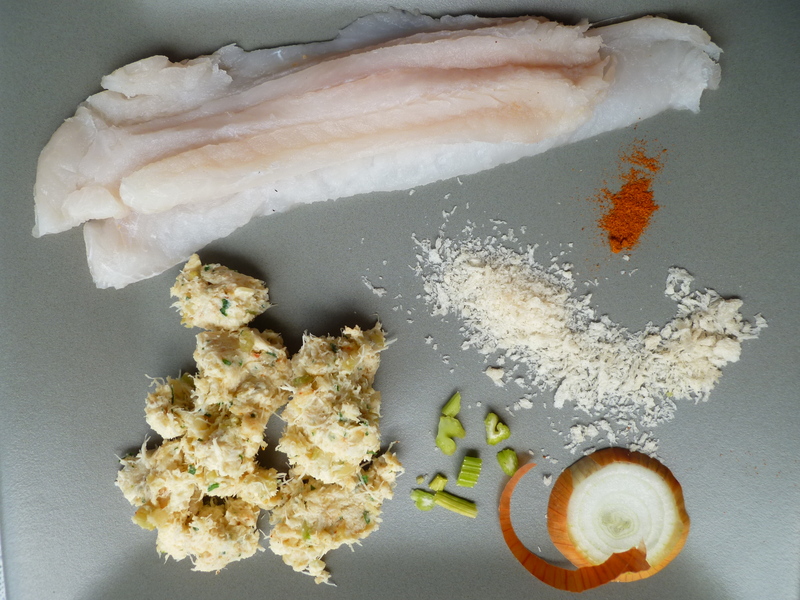 the skinned Fillets of 8 whole Sole or How to Substitute Flounder for Sole: A whole sole, filleted, will include one larger flat piece and two smaller strips of fish. Altogether they weigh about 4 ounces (or 120g). 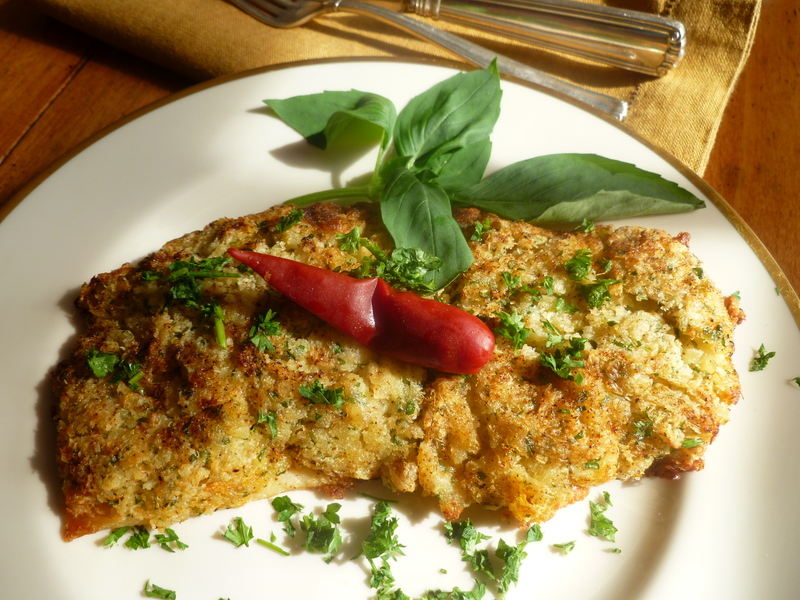 If sole is not available in your area, flounder is a good substitute. A flounder is bigger than a sole. 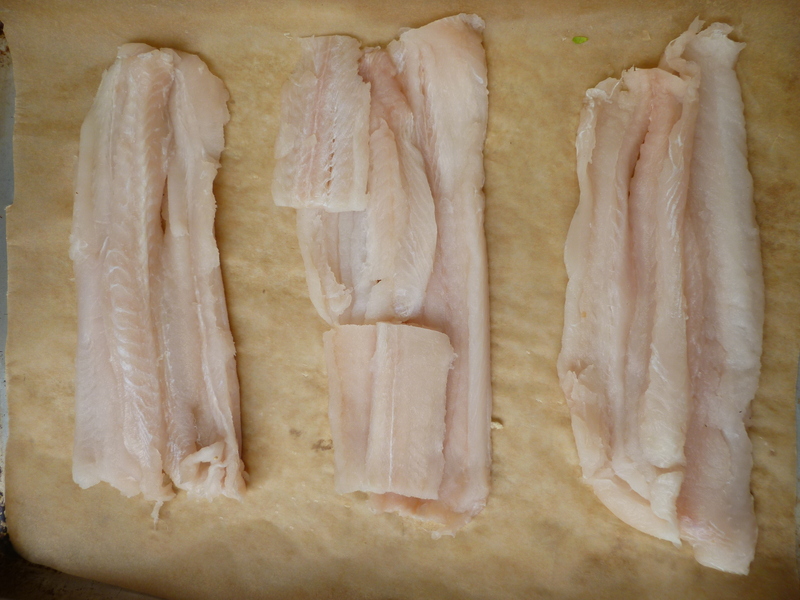 Three pieces of flounder may not be needed to equal the fillet pieces of one whole sole. 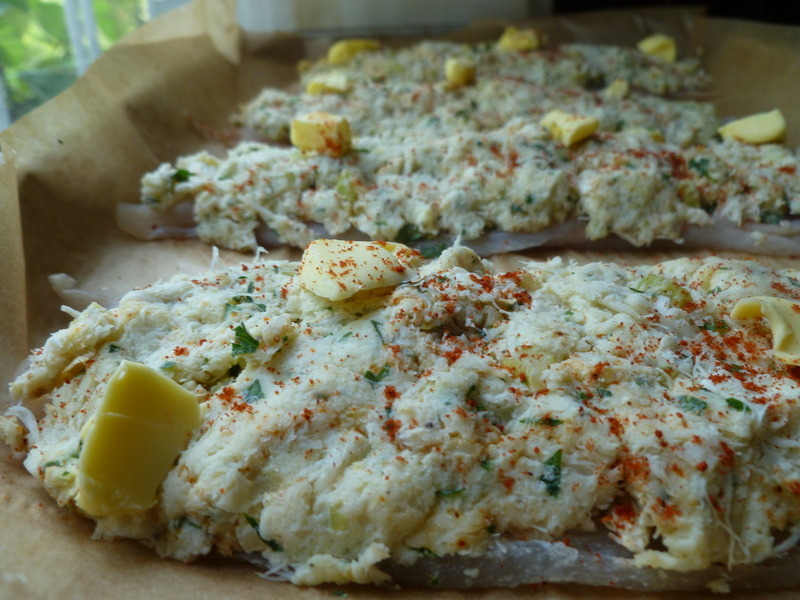 Substitute pieces of flounder to approximate the weight of the sole…True sole does not swim in American waters. Stores in the United States label and sell various types of fresh Flounder as ‘Sole’. 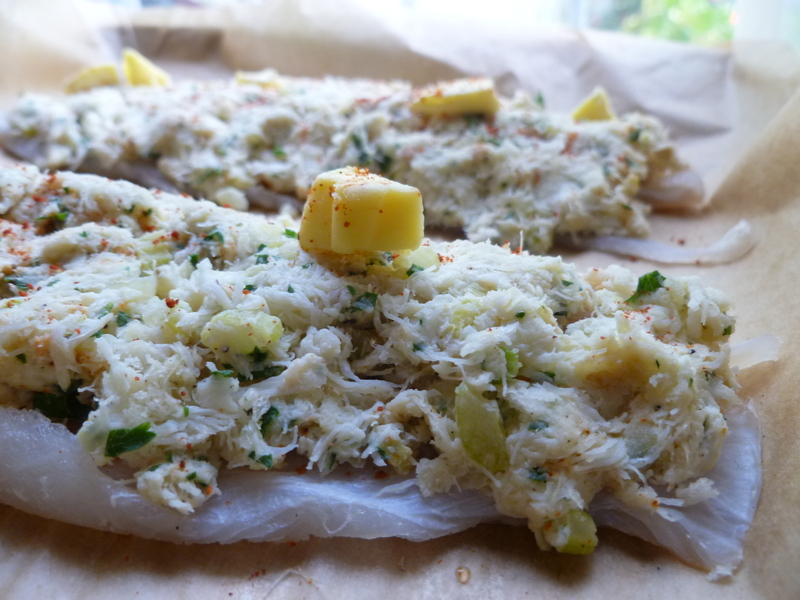 about 1 pound of Crab Meat: The photographed sole was made using 4 cans of ‘wild caught’ Fancy Whole Lump Crab, dry weight 4.25 ounces. The amount required for this recipe is approximate. As with most stuffings, measurements need not be exact. 2. Measure the Panko breadcrumbs into the large bowl. 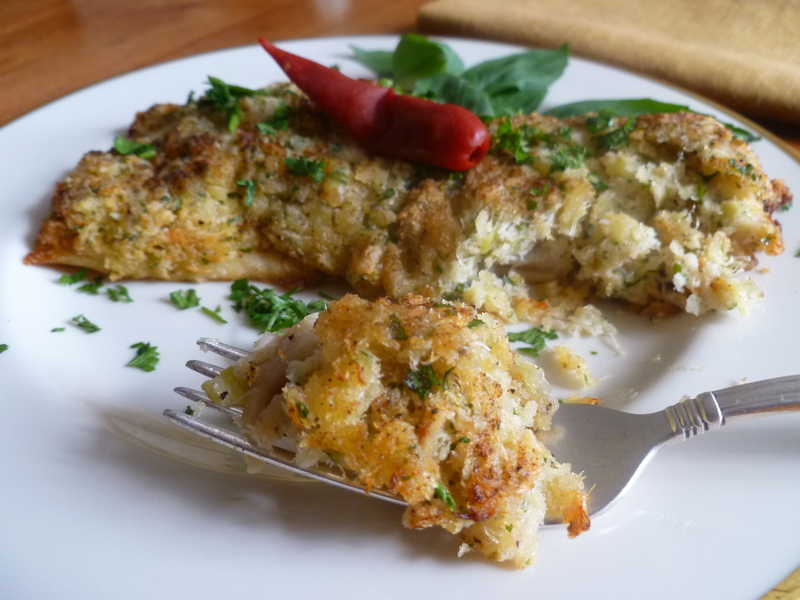 Mix in the crab meat, chopped parsley, the black or white pepper, and a few grinds of salt. 3. Melt 4 Tablespoons of the butter in the frying pan. 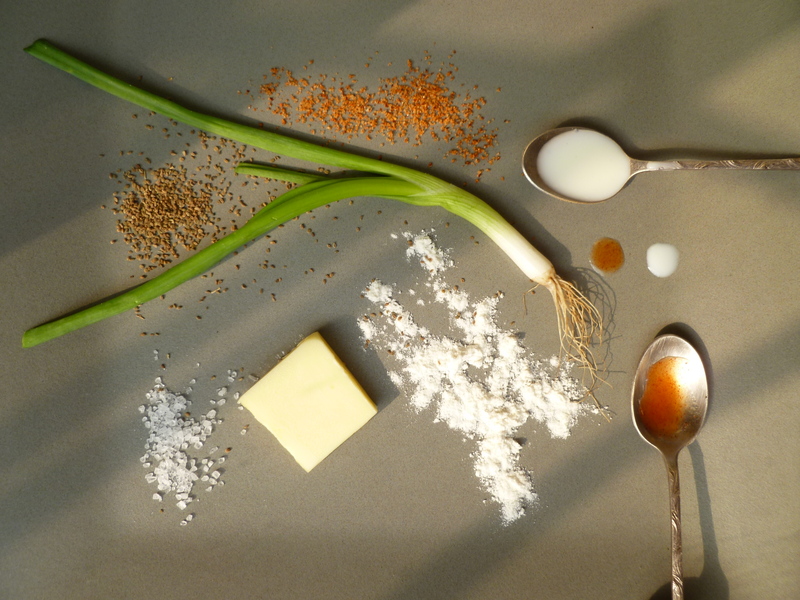 Add the onion and celery and cook, stirring, until they are softened–for perhaps 5 minutes. Add the sautéed onion and celery, and any butter in the pan, to the stuffing bowl and mix everything together well. 4. Pour the cream into the bowl of stuffing ingredients, a little at a time, until the mixture becomes moist and holds together well. Depending on the moisture in the crab, a little more or less cream may be required for the stuffing to reach this point. 6. Bake the stuffed fish for 15 to 20 minutes or until the top of the stuffing is crisp and golden. 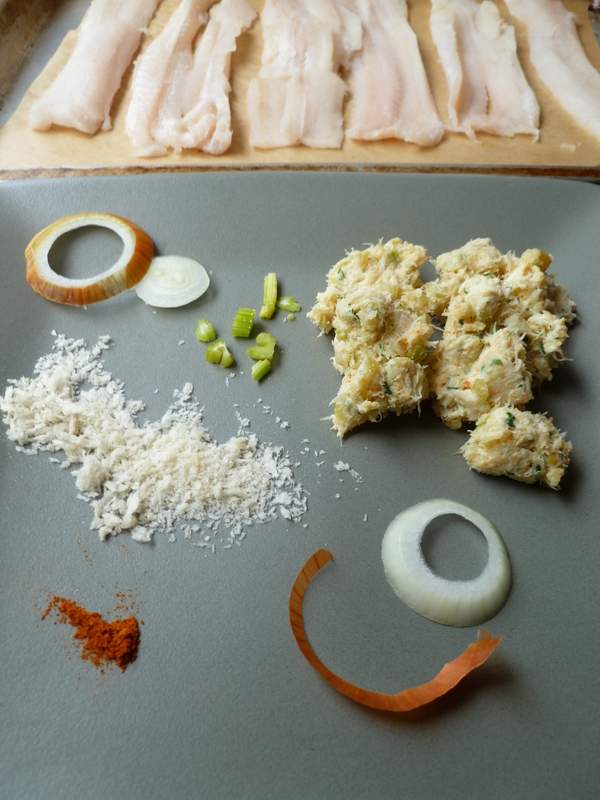 Serving Suggestions: Crab-Stuffed Sole is good served with the Green Onion Tabasco Sauce described below….or with no sauce at all. A small pickled red chili, a branch of fresh basil and chopped parsley all make pretty garnishes for this dish. 1 and 1/4 cups of Milk: If you are making the sauce early, add only 1 cup of milk as you mix up the sauce and whisk in the last 1/4 cup of milk when reheating and serving it. 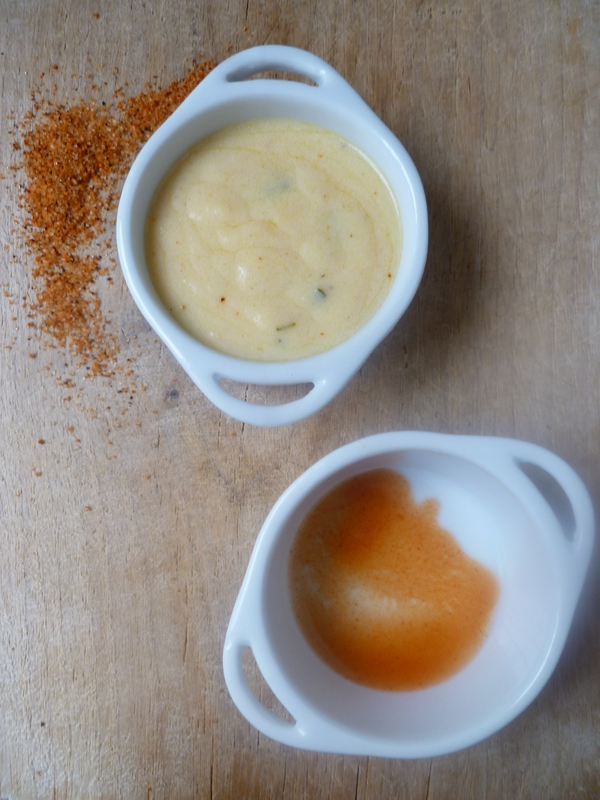 1 and 1/2 teaspoons of Creole Seasoning, such as Zatarain’s: or make your own blend of 1/4 teaspoon each of garlic powder, chili powder, cayenne pepper, sugar, paprika, and onion powder. 1. Over medium heat, melt the butter in the saucepan, add the green onions and sauté them for a minute, stirring, just to wilt and cook them a bit. 2. Add the flour and cook, stirring, for about another minute to cook the flour without browning it. 3. 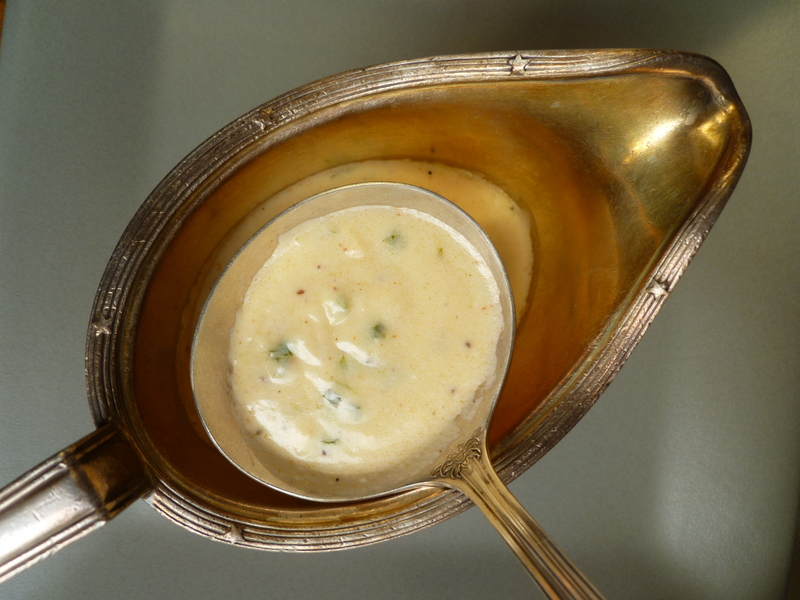 Whisk in the milk–add only a cup if you are making the sauce in advance, and whisk in the additional 1/4 cup when reheating it before putting it on the fish. 4. 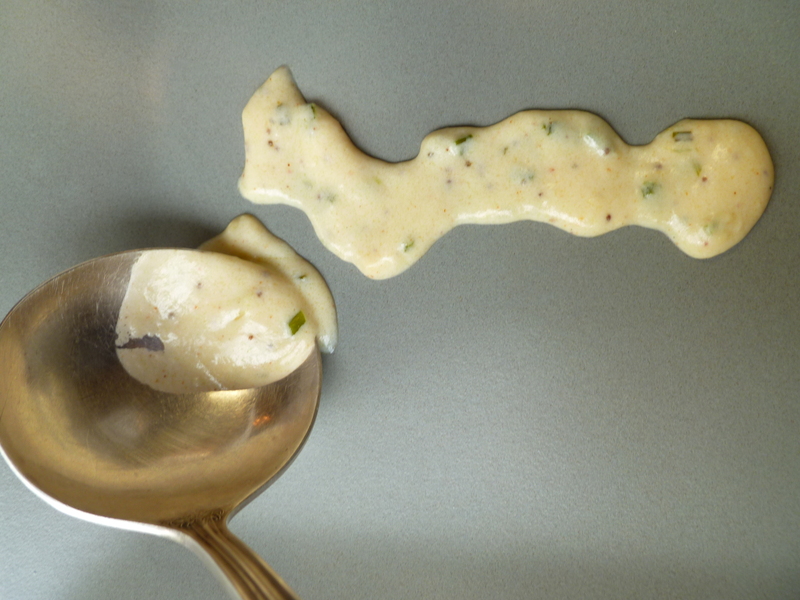 Whisk in the Creole seasoning, the celery seed, and the Tabasco. Simmer the sauce over low medium heat until it is thickens a little and the flavours have had a chance to meld. Taste and season with some salt if you think it needs a bit. 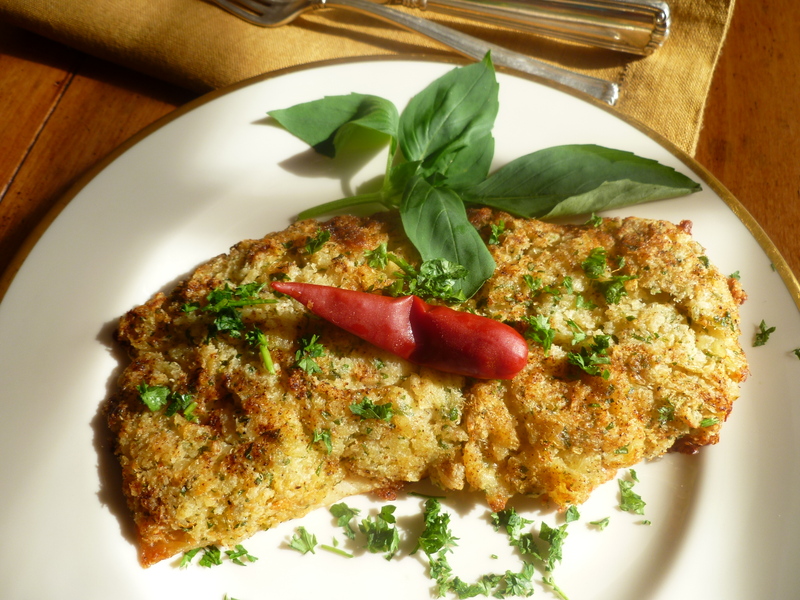 A Note: Crab-Stuffed Sole with Green Onion Tabasco Sauce is the Main Course of the Dinner Menu: A Lowcountry Dinner.